Yelp Reviews from Our Couples! Sharing the Yelp love we’ve received from our recent couples. 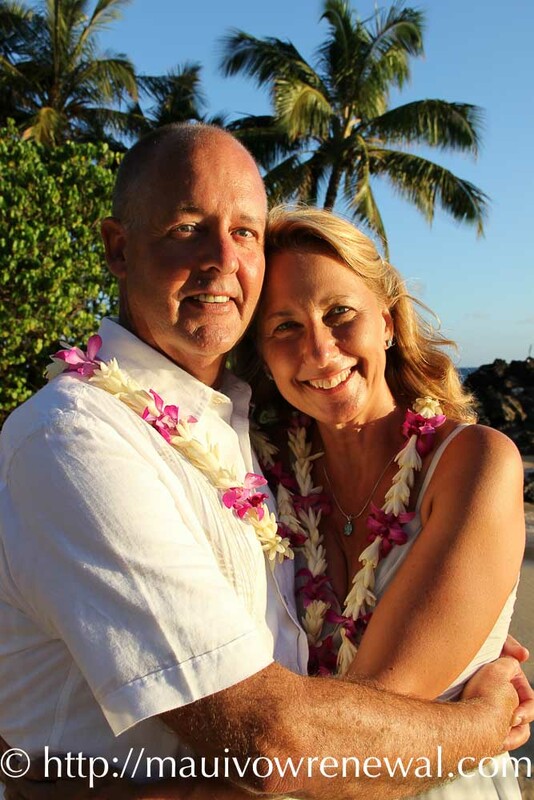 We are always honored when our renewal and wedding couples personally refer us. New Wedding Renewal Photo Album! We are excited to share these NEW Wedding Renewal photos! We designed this Coffee Table Album after a very special surprise Wedding Renewal. The couple ended up having us pick the album photos as there were too many they loved for them to decide! 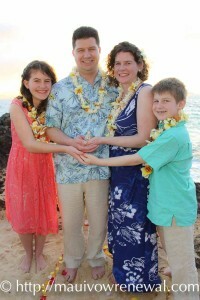 Our Maui Vow Renewal ceremonies include the Sand Ceremony, which is a great way for a couple to include their children. Our Maui Beach Vow Renewal ceremony package has a Hawaiian theme and includes photography, leis, and blowing of the Hawaiian conch shell. 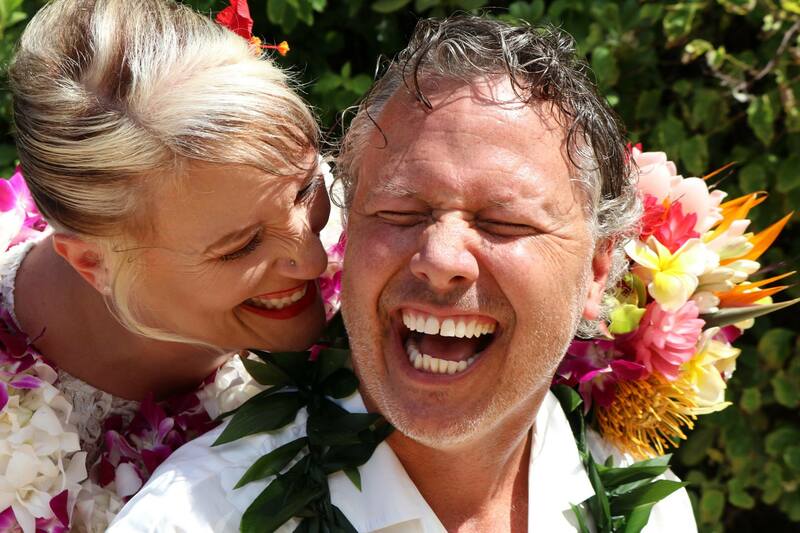 Receive the MASTER USB Flash Drive of all your Maui Wedding Vow Renewal photo images!…AND Copyright Release letter! "Trash the Dress" 20-50 photos included! Family Renewals! We recommend our 100 Photo Package on Special for $649 so you can capture all the individual poses you have in mind with your children and family members. Receive 2x the # of photo proofs, 2 Photographers, His & Hers Leis, Traditional Lei Exchange, Conch Shell Blowing, and Sand Ceremony for just $188 more! Couples Rate this our #1 Package for Value & Experience!